thevowsandbeyond | Getting married is a BIG deal!! Ever since I was a little girl, the concept of the ‘Chooda’ fascinated me. 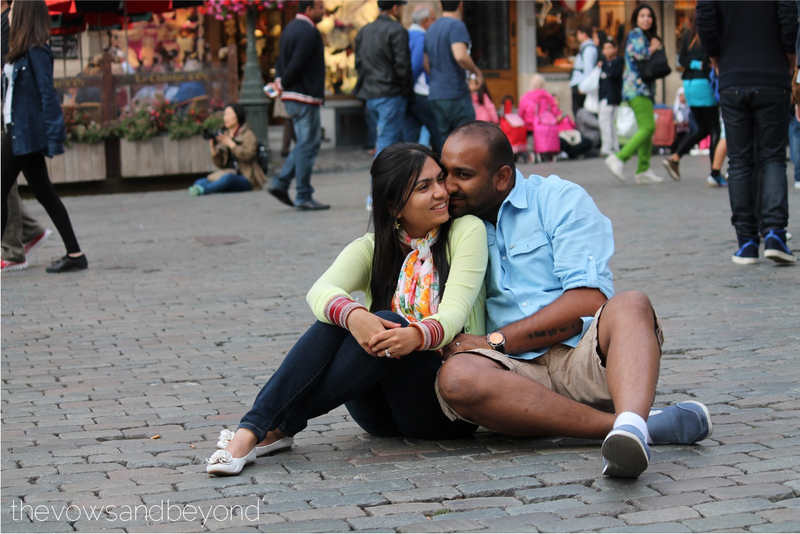 I finally got around to sorting through the thousands of pictures we took on our European vacation! And I thought I’d post a few 🙂 I also was able to update my About Me section – about time, I know! So here is a quick snapshot of the amazing time we had!! We are off on our honeymoon-2!! Will be back in a couple of weeks. 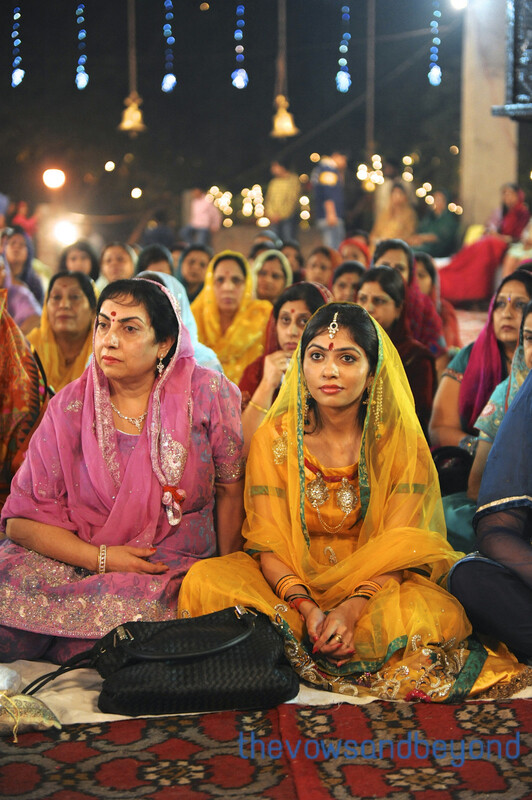 The evening of the Chowki: As dusk fell, the family buzzed. Everyone had been making trips back and forth between home and the venue. Flower garlands had been forgotten, and someone was rushing to get those, the Chowki singers had shown up at the wrong address- Dad was yelling at them on the phone, Mom was convinced that we were all going to be ridiculously late and was on the verge of yelling at the next person who spoke to her. 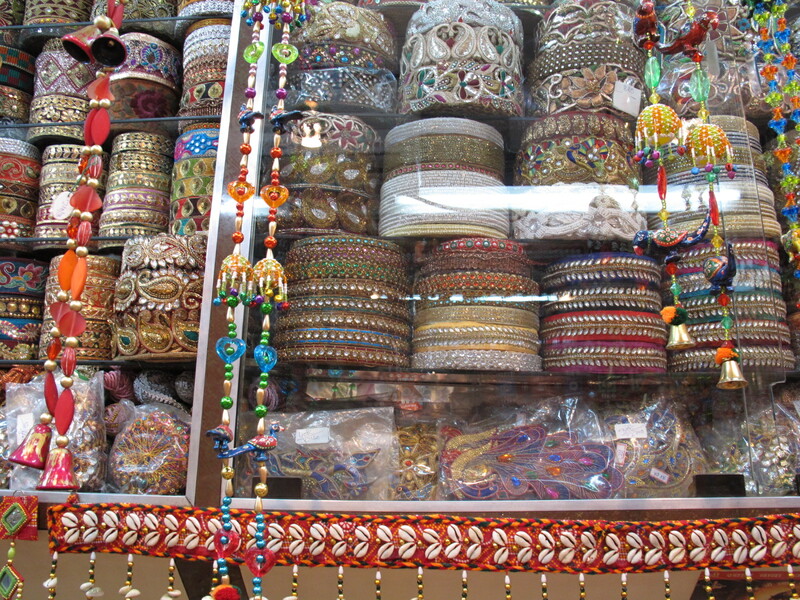 Meanwhile, I had just come back from yet another day in the “wild” aka the Delhi markets, and Mom was frantic. 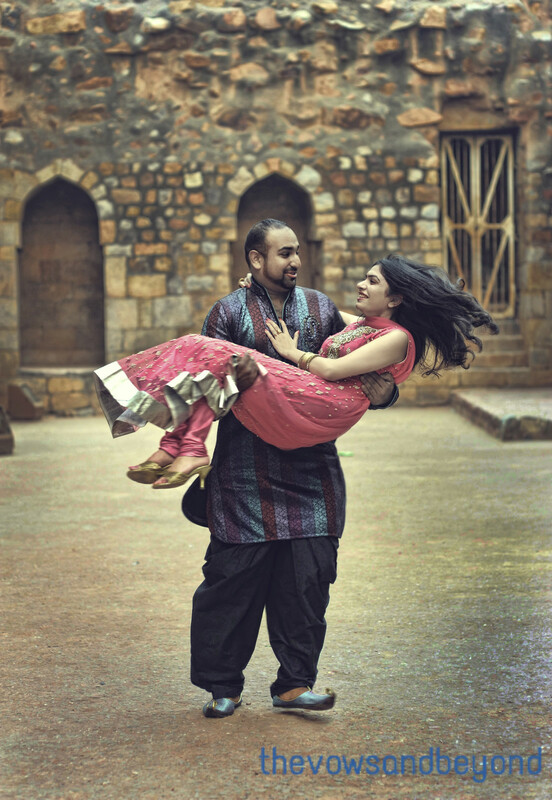 I was to wear an anarkali suit that day – she had it ironed, and all laid out for me. I remember those moments very clearly, because I was in a weird zone at the time. I am not sure why, but it had not hit me that this was the first wedding event – instead, it felt like any other family function. I strolled into my room after a day of shopping, and I just wanted to lay down for a bit. Instead, I had Mom after me hurrying me up to get dressed. 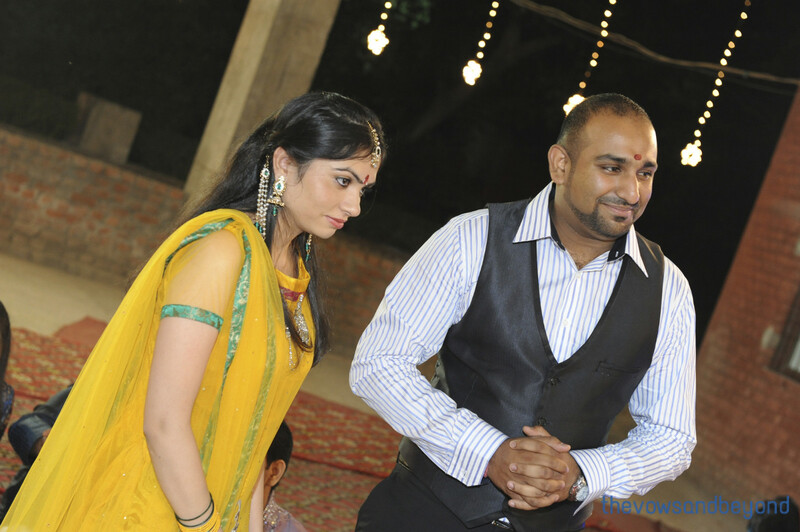 My anarkali was yellow – the colour of auspicious beginnings. In the previous weeks, Mom and I had visited Ambala with family. We had shopped a bit there, with the main purchase being my chooda and khaleerein (Side note: Ambala’s choodas are famous for their quality. I can attest to that – I have been wearing my chooda every single day since the wedding with no wear and tear to it at all – touchwood!). I had stopped to buy this particular yellow anarkali from the market there. I am not quite sure how I spotted it in the middle of all the fabric – but I remember this happy yellow shade catching my eye, and that’s all it took. It was actually yellow with some green in it – green churidar as well (though that was hardly visible!). Once we were back in Delhi, I had bought green sandals to match, and green jewellery as well. I had an appointment at the local Lakme salon for my hair, and was dropped off there by my Uncle (who was all dressed in his kurta pyjama, might I add). It was dark by now, and I was glad Mom pushed me and didn’t let me sit around. The salon was great! I had been there a couple of times in the previous week because I was attending another wedding and I had gotten my hair flat ironed there. This time, I was adamant on a blow dry. The flat iron had REALLY flattened my hair, and when I saw pictures from that wedding, I was glad I got a chance to try out that particular style from that particular salon. My hair were washed and blow dried perfectly. 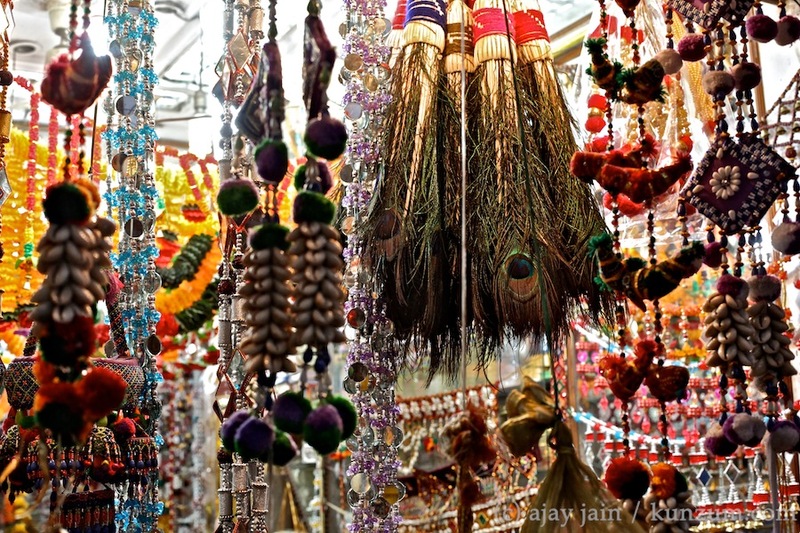 The maang tikka was placed flawlessly, but when it came time to put on the earrings, there was a ‘surprise’ in store – one of the earring holders was missing! I remembered showing the earrings to an aunt, and perhaps it fell out then. By now, it was almost 8 PM, and there would be no jewelry stores open nearby. The house was now locked up with the whole family at the venue. I told the Lakme staff that they were about to have a full blown tantrum on their hands in just a minute. However, they kept off the tantrum – one of the girls had a spare earring holder! I am not sure about the spare – I swear I saw her with earrings before, and without earrings after, but they were very very kind, and I can’t forget how they solved this issue. Hair done, I headed over to a more private section of the salon to do my own makeup. I had my giant kit with me, and I was adamant at not getting too “done up” on the first event itself. I used this amazing Maybelline aerosol foundation that made me glow (or maybe it was just happiness?). Then followed the eyeliner, shadow, lipstick…. And the kajal was missing from the kit! The Lakme makeup artist meanwhile was sitting behind me the whole time – she really liked the aerosol foundation, and we were chatting – she whipped out her kajal pencil, and helped me with that right away – including the kala tikka behind my ear – kindness, I tell you. 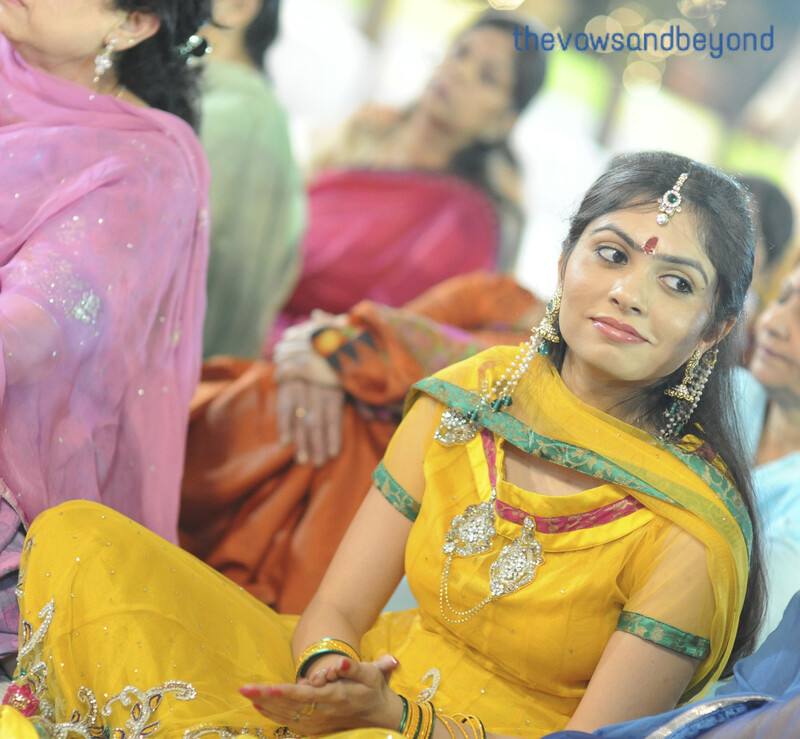 And that was it – I was finally dressed, the family had reached the venue, the initial pooja had started, my Mom must have been a calm lady at that time. I called, and my Uncle came back to get me. I walked down the salon steps a bride-to-be. (But it still had not hit yet). 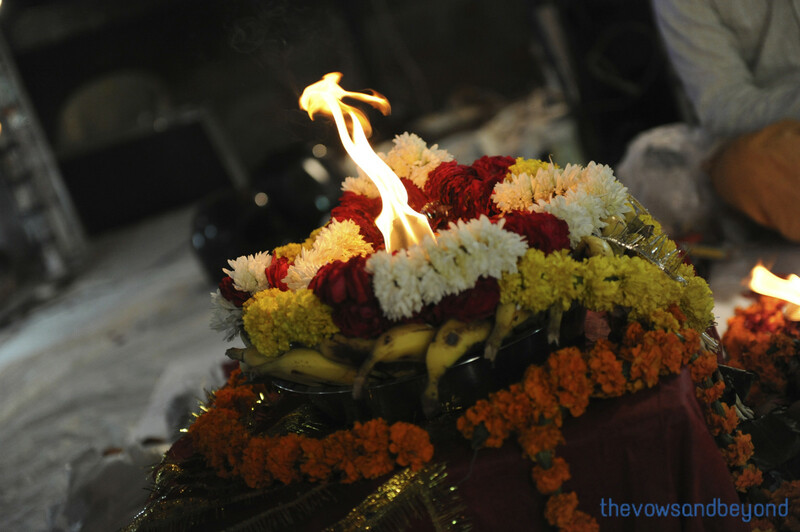 The Pooja was amazing – slow at first (as the lost singers found their way, and guests filtered in) and then much more lively. The smile didn’t leave my face for a minute, as I accepted congratulations and blessings the whole time. About halfway in, Abhi and his parents made an entrance. As he walked towards me, I remember blushing deep deep red! He sat next to me, and that was it. That was the moment it really hit. He was the groom, and I was the bride. We were to be married in the next 10 days. He wiped the tears that dropped from my eyes. 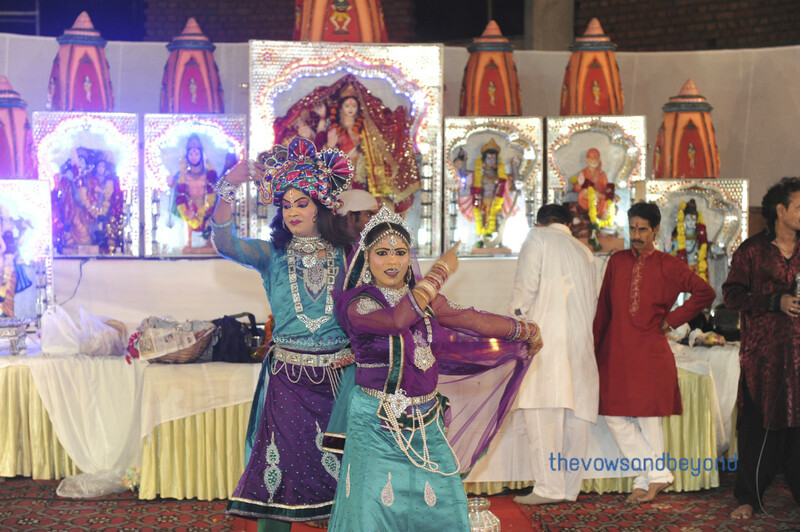 The evening reached a crescendo with performances by artistes depicting Shiv-Gauri and Radha-Krishna, followed by the entry of more family, coming in directly from the airport. After the Chowki was over, we headed down for dinner. It was so amazing meeting cousins after such a long time, and meeting second cousins that had practically gone missing. I remember having the gol-gappas and the chaat – do not remember dinner. I think I was just talking the whole time, and there was no time for it. Finally people began leaving until it was just the family. We were way past midnight by now, and we finally made a move too. Abhi left, after scheduling our next forage into the wild (read Karol Bagh) with me, and then my big family headed home. 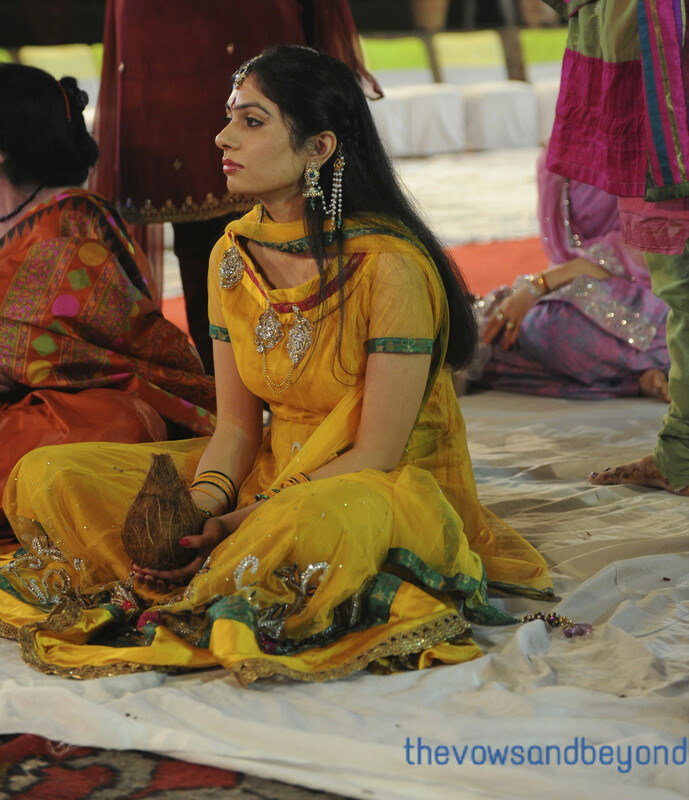 The Chowki ‘jyot’ was taken home as well. How they transported a huge, lit jyot home in a car is a feat I still wonder about. But when everyone was home, broken into groups of chattering people, I remember taking a quiet moment in the kitchen where that jyot was still alight, and thanking God for the happiness around me, and for the miracle that had come my way. 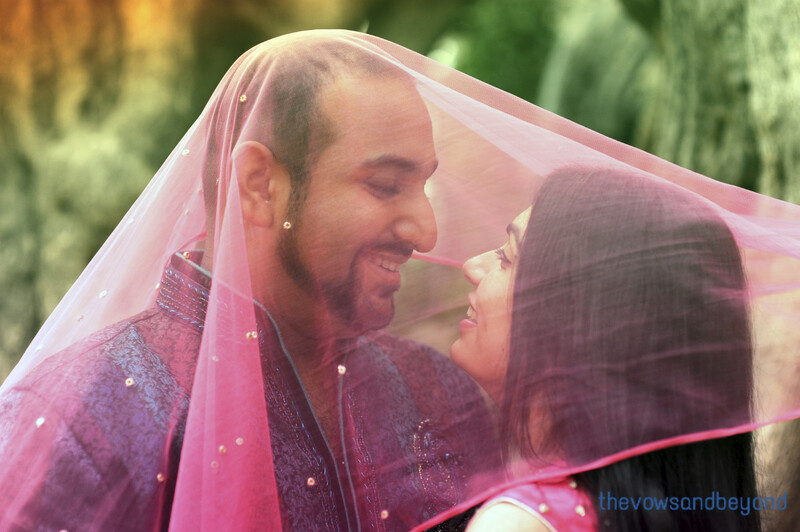 With the blessings I had received that day, I finally transformed into a bride – and I felt like one too. 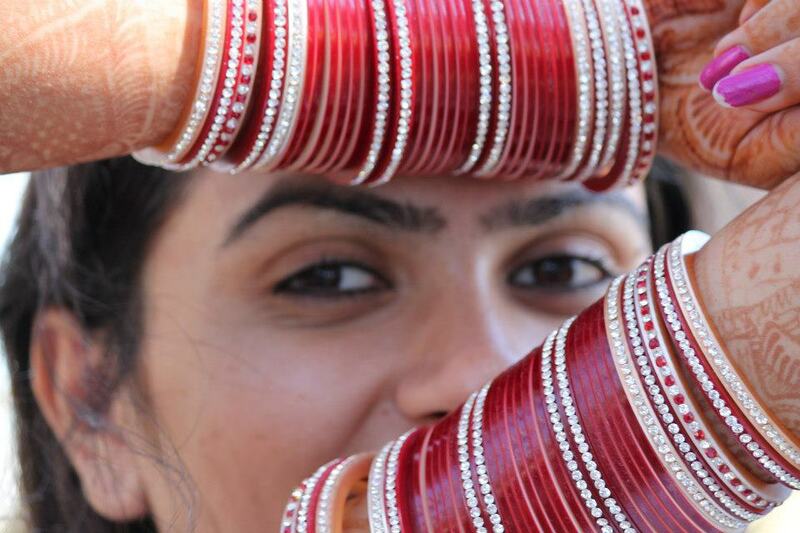 I’m working on the next post – our Mata ki Chowki. How do you store bridal net dupattas? Mine are heavy with kundan work on them. Im scared that the net will crack if I keep it folded up or the kundan will go black. Any tips? I finally got around to posting pictures of the first pre wedding shoot! 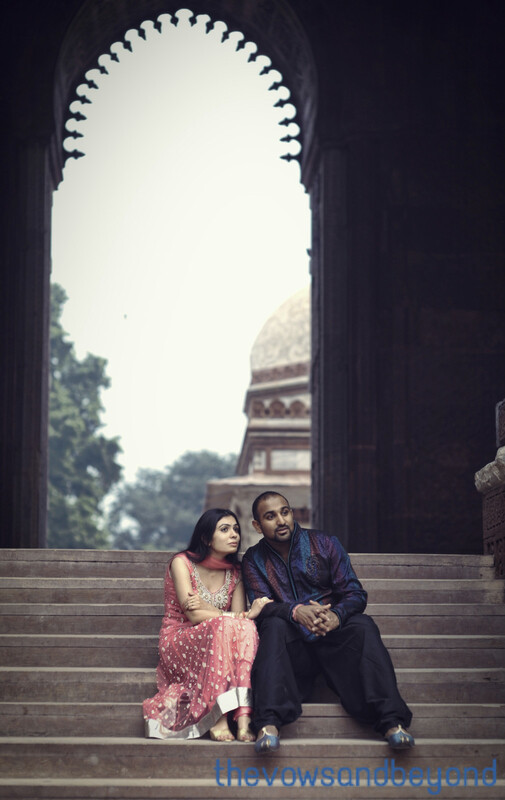 The shoot was done at dusk at Qutub Minar, Delhi. I have to say – the beauty of the stonework really does really jump out at you at this time of the day! My best friend had flown down from Chicago by this time, and she was with us at the shoot – tourist opportunity for her, and some time together for us! 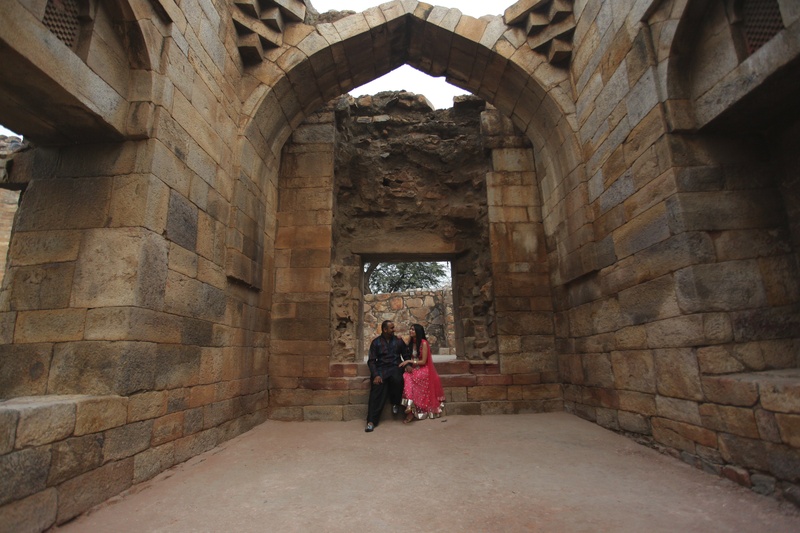 For the shoot, I wore the anarkali that I had received from my in-laws for karva chauth – and I’m glad I did – I think the pictures do it justice. This is us running away from it all! 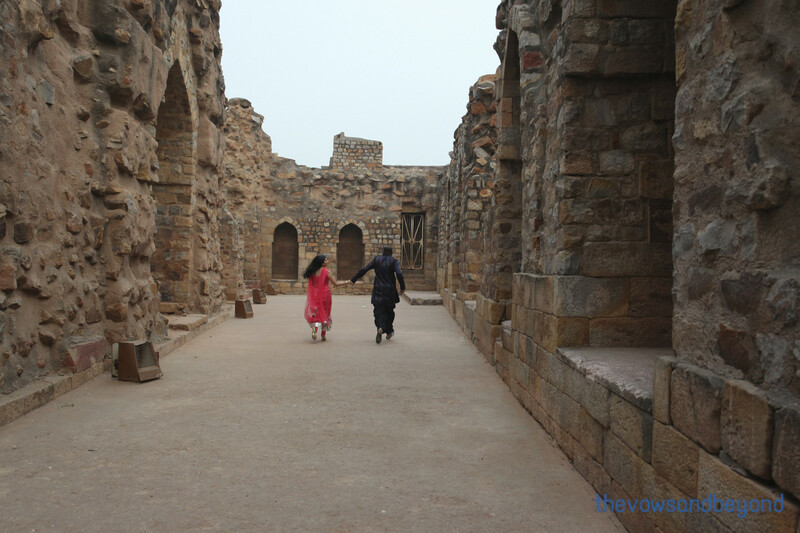 No – this is way more DDLJ! This one hangs on my wall. The formal pose was my idea, and I am glad we did it – the stone background really gives this picture the antique look I wanted. 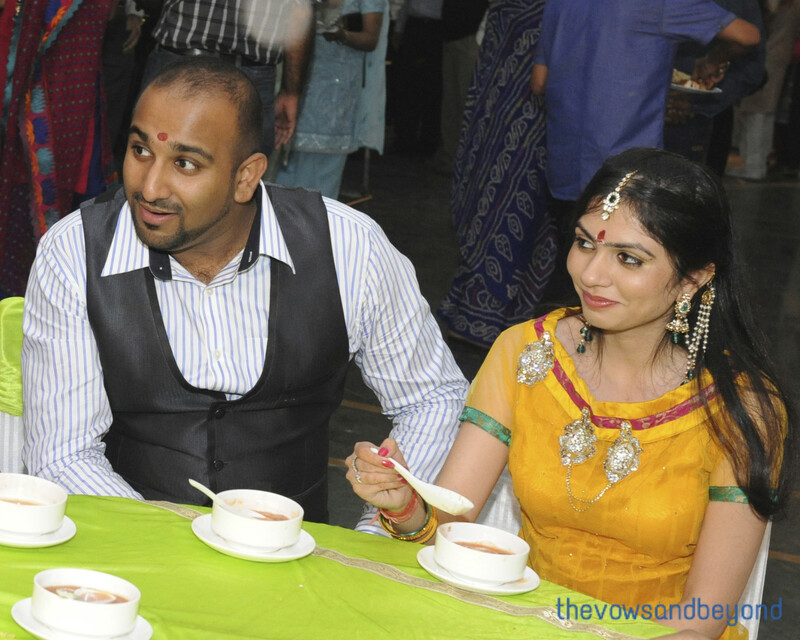 The pictures played as a slideshow on giant screens at the wedding – and that was the first time I saw them. I remember craning my neck around the aunties to see them… and the memory of this fun day melted my heart! 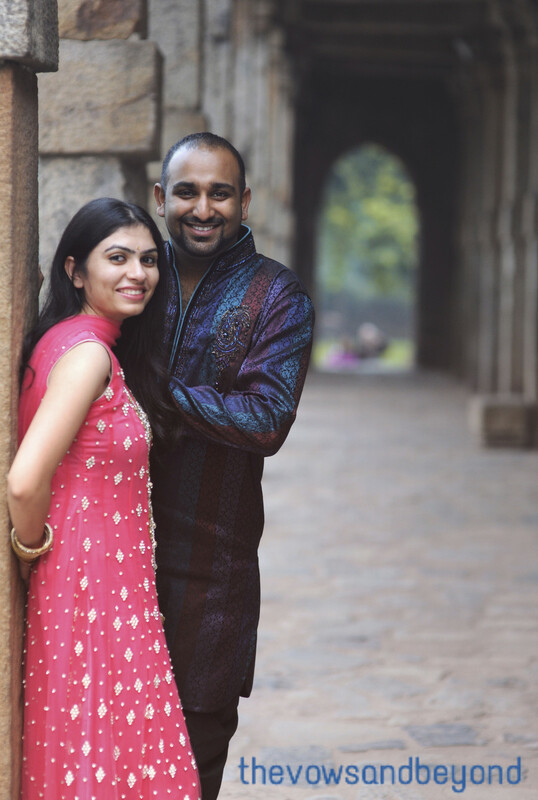 For us, the pre wedding shoots came smack in the middle of the busiest phase of wedding shopping – there was no way we were able to get away for dates… so it was a great time to breathe, and just pause, and wonder at the fact that we were getting married!! 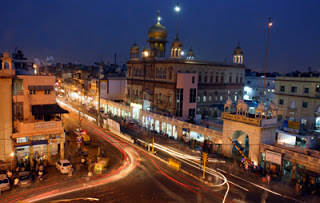 Chandni Chowk continued to enmate its flavor. While A and I were whizzing around Delhi checking countless things off our list, My Mom and aunts visited CC on their own many times. And each time, they brought back a haul!